Beauty and form can often be seen in the most unsuspecting places: rusting cars, dilapidated farm equipment, weathered roofs, reflected objects, spilled milk, and countless other overlooked objects. I don’t think of my images as photographs, but rather as ‘art’ – which just happen to be photographs. My camera is a means to an end. Most of my abstracts are captured in-camera, although some images seem to scream for me to apply a few post-processing techniques. With these images, I wanted to present everyday objects from a fresh perspective and transform them from the ordinary into the extraordinary. Abstract as an art genre was solidified in the 20th century. When this style was in its formation, the term ‘abstract’ was more often applied to the cubism and futurism styles which depicted real forms in a manner that highlighted basic shapes as seen by the artist. Later on, however, abstract art came to be regarded as art that more generally depicts things in a non-representational way. Abstract images often represent emotions, sounds, and meanings in colors and compositions, spiritual ideals and simplified reality, where often only the essence is left. Such images are thought-provoking; they are created to evoke emotional responses. 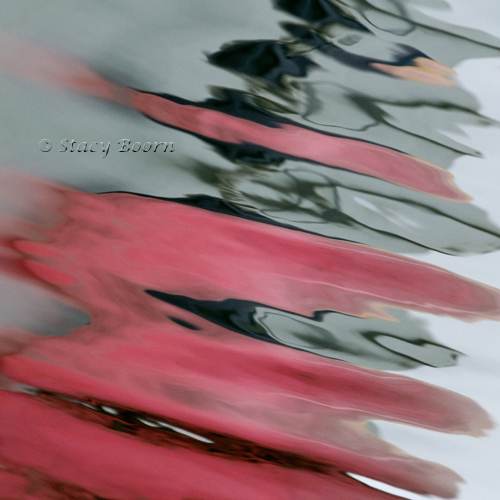 Strong abstracts are able to catch the attention of the viewer and make one think. They generate a rainbow of emotions. Stop, look and think…., and repeat as desired. 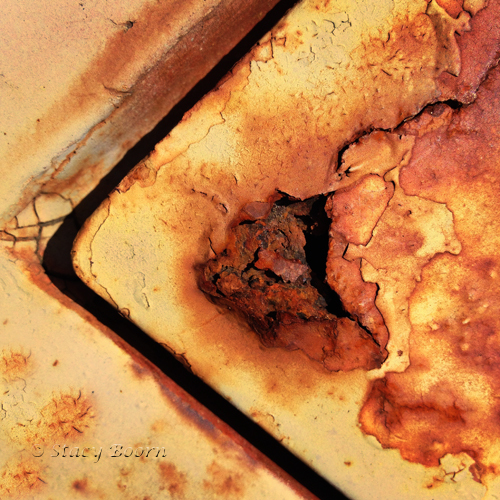 This entry was posted in Weekly 2 and tagged Abstracts, Boats, creative photography, Harbor Photography, rust, Stacy Boorn. Bookmark the permalink.